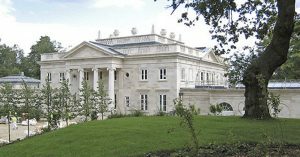 John Sheehan (Oxford) Limited was commissioned to complete a demanding basement project on a prime property on the exclusive Wentworth Estate in Surrey. The basement below the 32,000 sq ft private home was constructed using a reinforced concrete frame and fitted with finishes of the highest quality. Our team of highly skilled experts completed this detailed project on time and on budget.